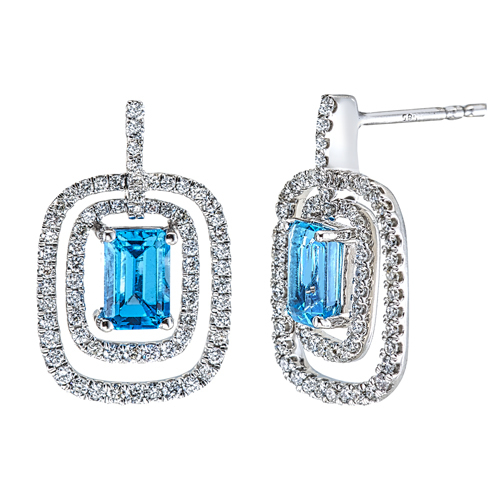 Variety Gem Co., Inc. - 14K white gold diamond and blue topaz pendant. 14K white gold diamond and blue topaz pendant. The chain is not included in the price.